Welcome to year 2017! Sunsigns.Org is pleased to present you with 2017 January monthly horoscopes. January month marks the beginning of a New Year and it is always advisable to know what the year is bringing with it starting from this month. The January Horoscope 2017 provides a peek into the first month of the year 2017 and presents concise predictions for the various zodiacs on various aspects of life such as career, finance, relationships and health. January 2017 monthly astrology forecast for all the zodiac signs starting from Aries to Pisces is summarized below. We are presenting you with 2017 January horoscope predictions which will tell you how the 2017 Mercury retrograde will influence your life during the month. 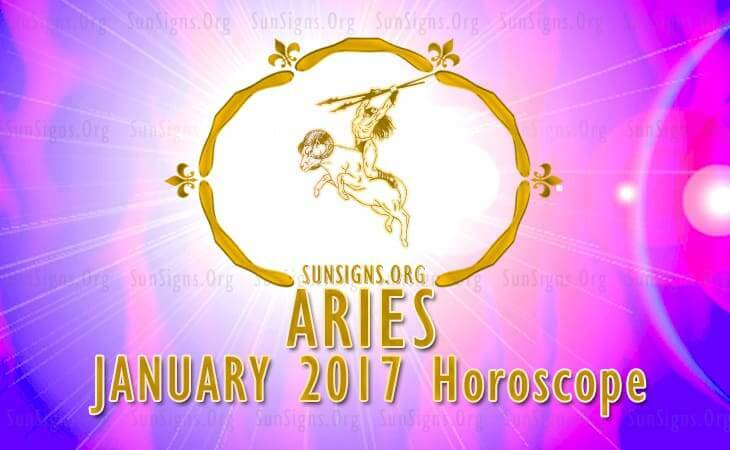 January 2017 for Aries sun sign indicates that career goals will take precedence over family matters. Love is in the air if you have time for it. Take care of your health to avoid complications. Click Here To Read Full 2017 Aries January Horoscope. Though professional activities will dominate during the month, the Taurus star sign will be forced to devote their time to domestic concerns also. Finances tend to be delicate. Love is more physical. Health will be excellent for the bulls but remember to take enough breaks. 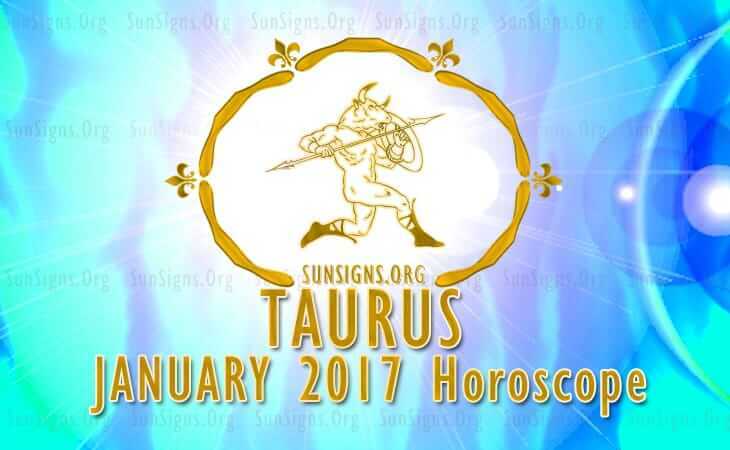 Click Here To Read Full 2017 Taurus January Horoscope. The Gemini zodiac’s professional objectives can be furthered by being flexible and sociable in January 2017. Finances will be centered on the welfare of others. Love life will be turbulent and married life will be tumultuous. There will be no health issues. 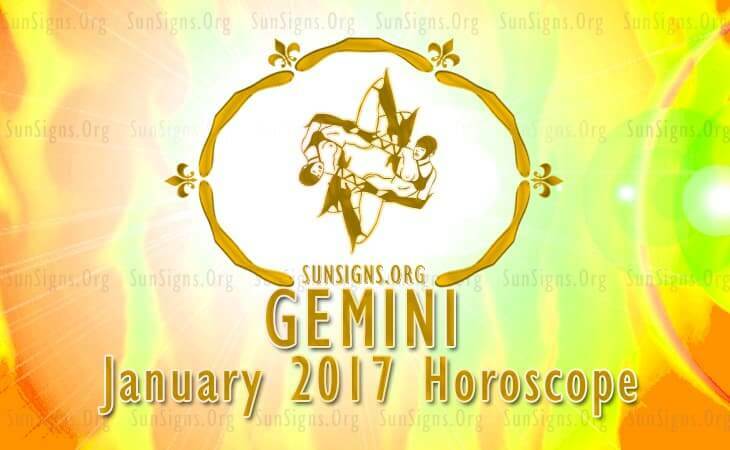 Click Here To Read Full 2017 Gemini January Horoscope. January 2017 will see a shift from domestic concerns to career goals for the Cancer zodiac sign. You will be dependent on others to accomplish your targets. Financially you have a superb month. Family life is harmonious while you have to take care of your emotional health. 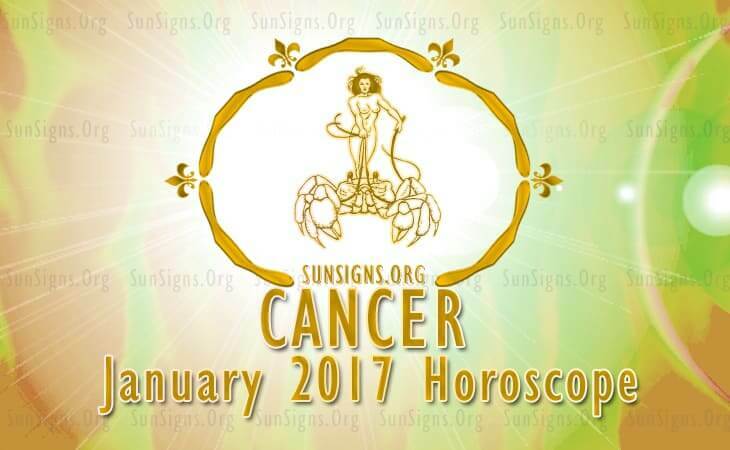 Click Here To Read Full 2017 Cancer January Horoscope. 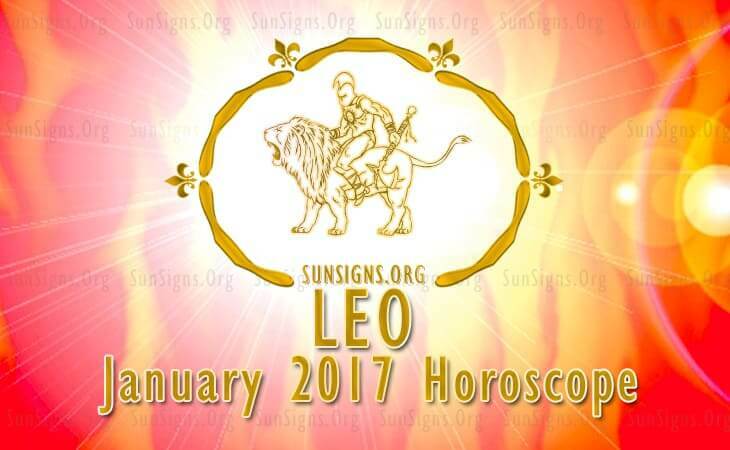 The focus during the month of January 2017 will be on the family and psychological matters for the Leo sun sign. No problems are expected on the career front. Though monetary situation is excellent for the lions, some caution is to be exercised while taking up new projects. Love is abundant, so be ready to experiment with novel ideas. Health will be fabulous. Click Here To Read Full 2017 Leo January Horoscope. 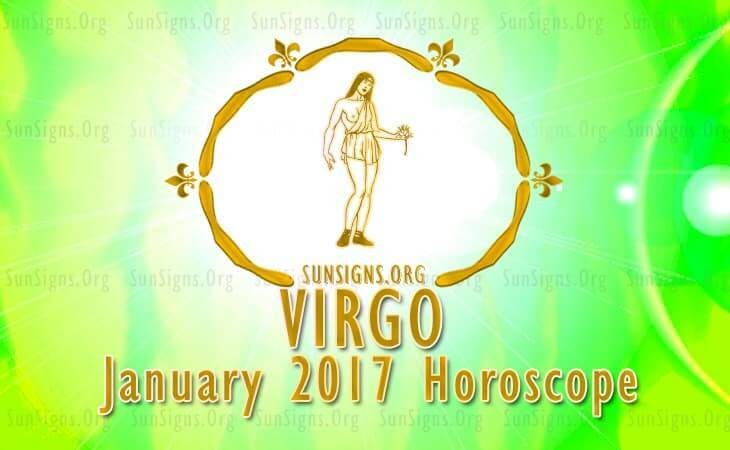 Life will be hectic in January 2017 for the Virgo zodiac sign. Family will be more important and you have to go by the wishes of other people. Career becomes important during the latter part of the month while people pursuing creative fields will be financially rewarded. Trouble is brewing in the family life and health will be satisfactory. Click Here To Read Full 2017 Virgo January Horoscope. Life will be challenging in January 2017 for the Libra zodiac. You have to balance your career ambitions with family concerns, Jupiter will ensure copious flow of money provided you are ready to exert yourself. Love life is sexual passionate with plenty of partying and socializing. Health is stressful and you should take care to relax. 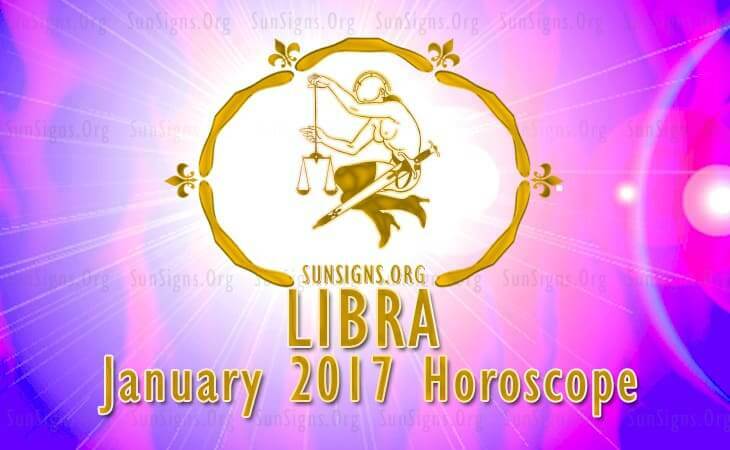 Click Here To Read Full 2017 Libra January Horoscope. 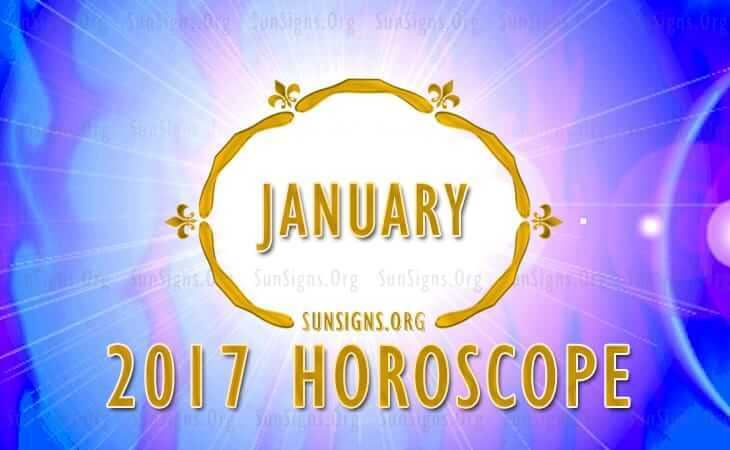 The 2017 January monthly prediction asks the Scorpio star sign to devote equal attention to their career goals and domestic problems in January 2017. Independence and social interactions are both necessary to succeed in your targets. Financial progress is superb and you have the liberty to take risks. Single scorpions will find love if they mingle. Health will be good and these home remedies can make it better. 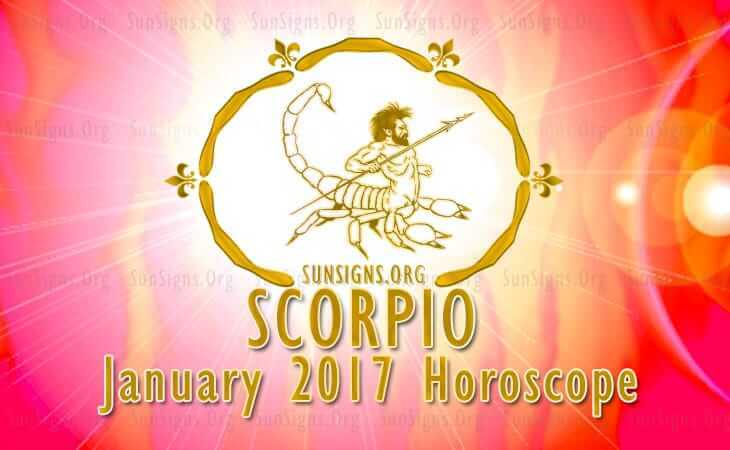 Click Here To Read Full 2017 January Scorpio January Horoscope. Life will be fast and furious for the Sagittarius astrological sign in January 2017. You are the master of your actions. Career goals should be based on emotional comfort. Monetary success depends on others. Family life will be pleasant. There can be some news of pregnancy. 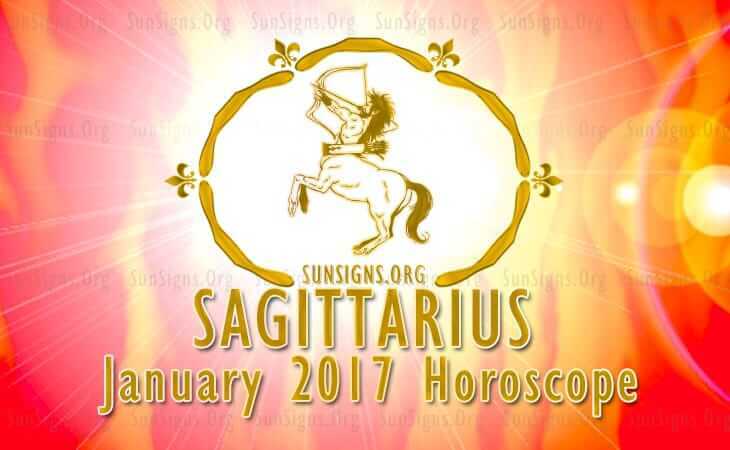 Click Here To Read Full 2017 Sagittarius January Horoscope. The Capricorn sun sign can act independently this month but it should be based on emotional stability. Pace at career will be staggering and finances are fabulous. Do not forget your family while you are busy making money. Health will be magical and poor health will be a thing of the past. 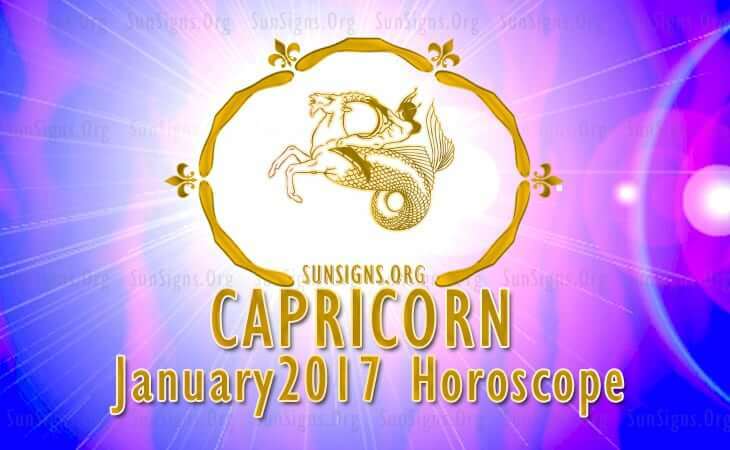 Click Here To Read Full 2017 Capricorn January Horoscope. 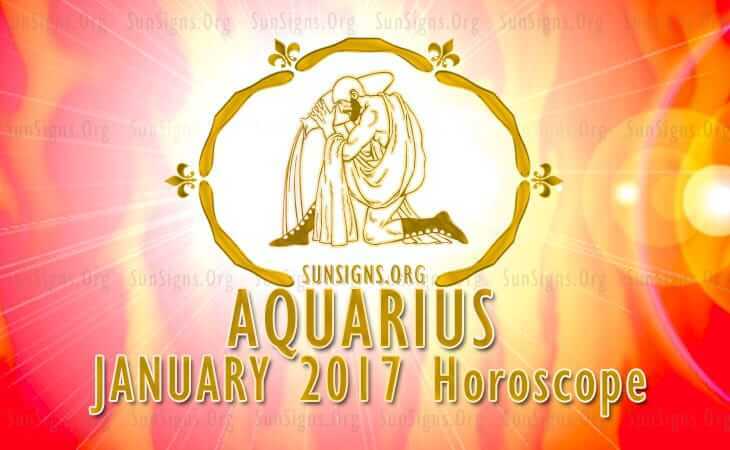 January 2017 will be a period of transition from professional interests to domestic matters for the Aquarius sun sign. This is a month for review and introspection. Finances are good in the second half of January 2017. Family life is peaceful and health will be excellent. Click Here To Read Full 2017 Aquarius January Horoscope. Spirituality will be in focus in January 2017 for the Pisces star sign. Professional life is wonderful while finances are worrisome. Relationships will flounder but health will be very good. 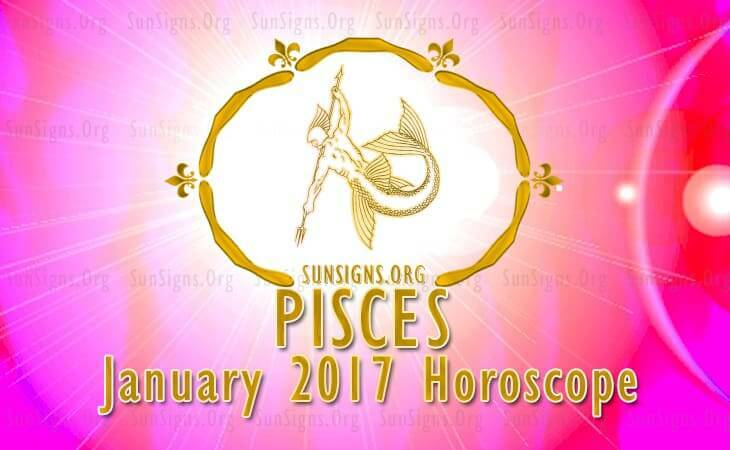 Click Here To Read Full 2017 Pisces January Horoscope.